The #GetUpSpeakOut Annual Youth Health Camp is only a few days away and we can’t wait! If you are attending our camp for the first time, or not yet convinced whether to attend or not, let’s share our excitement with you by telling you what to expect when it goes down. You are a young person, growing progressively into adulthood. There is a lot going on in your life in this growth process, some of which you may not even know. The camp is an ideal place to learn all this. We are going to teach you every single thing there is about your sexuality as a growing man or lady so you can finally sing “I know who I am” when you actually mean it. We won’t stop there. This learning is going to be a fun-packed experience. We don’t know how to be boring, so every new lesson you get, there will be a lot of entertainment attached. We don’t know how to be boring. There will be music, dance and games all embedded in the learning sessions. We won’t take you to class to learn, we will take you to the theatre. There is a lot to making it in life, and that ‘a lot’ can be too, termed as life skills. 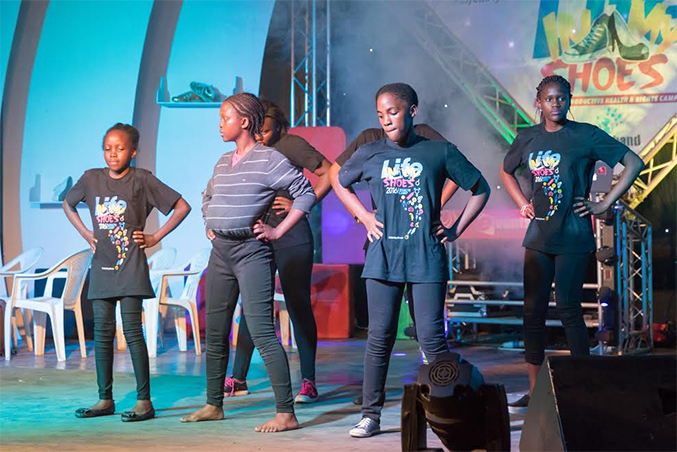 We are going to build these skills for you, by bringing you real life examples that you know are working in noticeable institutions like Standard Chartered bank, as well as our cultural icons who have made a mark in entertainment. You will listen to their inspirational stories, ask questions, share life experiences with them, share meal time and even take selfies. So whether you want to be a journalist, doctor, lawyer, musician or business man, we got you. At camp, we actually make a real difference in the world. Expect to walk out occasionally into various communities to lend a much needed helping hand to less privileged peers and the elderly. Such selfless work always carries a blessing, and at heart you feel happier and lighter having helped another. Come claim your blessing. This had to be in bold. Well-choreographed and costumed dances that carry an SRHR message will be a highlight throughout the camp. You will love the dances, cheering your friends and schoolmates on, while not missing the life changing message in those moves. If you thought America’s Best Dance Crew was great, come to camp and see how your opinion might change. When we step out of the sessions, we will stretch and show off some skills. If you have been wanting to shed some weight or to become a more skilled footballer or netballer, the camp should come in handy. By the time you leave you will be much fitter and an envy to your friend who didn’t attend. This we’ll let you see for yourself. The Nigerian songstress Chidinma will be here, to spend quality time with us at the the camp. Expect to be served with a fine blend of her music alongside our cultural icons. Who knows, if you sing well, you could share a stage with her! Next Story What if we told you we lit up Mayuge with #LoveMuKibanda, would you believe?